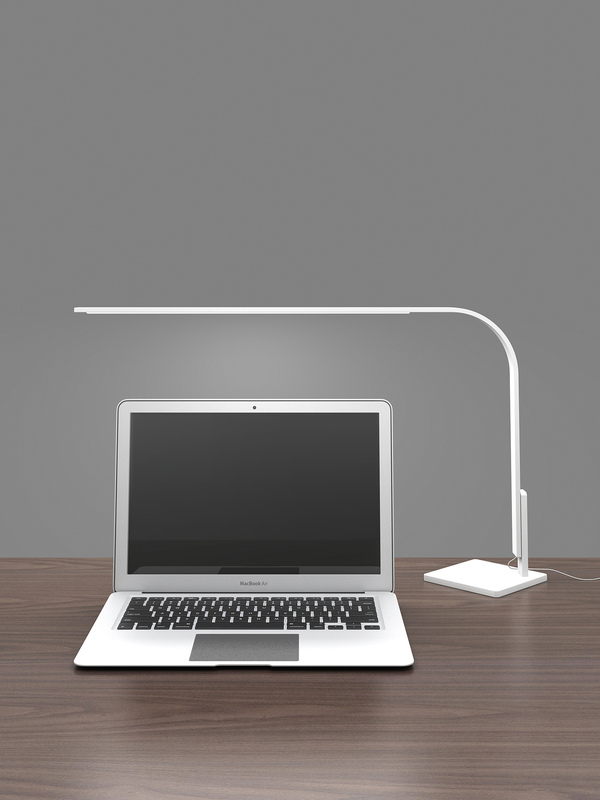 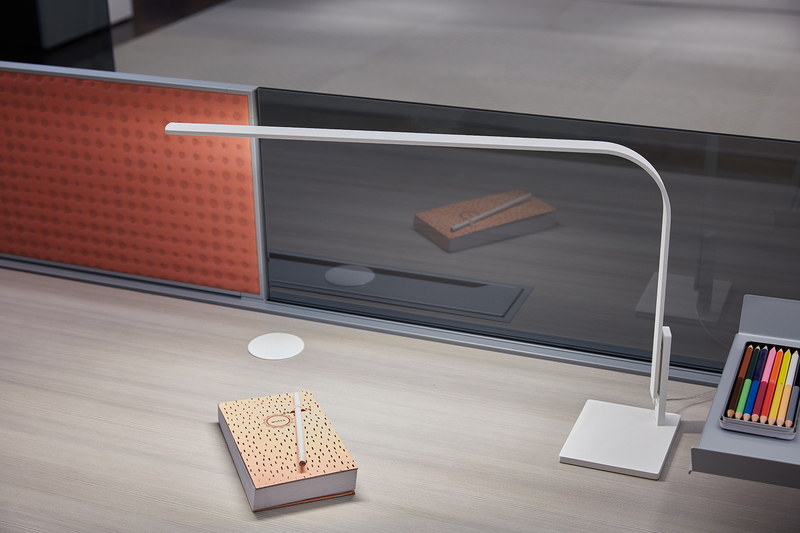 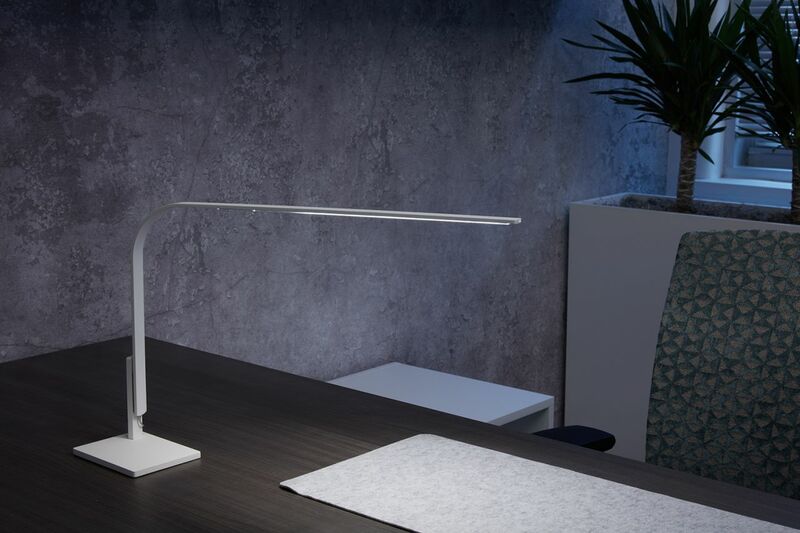 The ultra-slim LIM personal desk light is as stylish as it is functional. 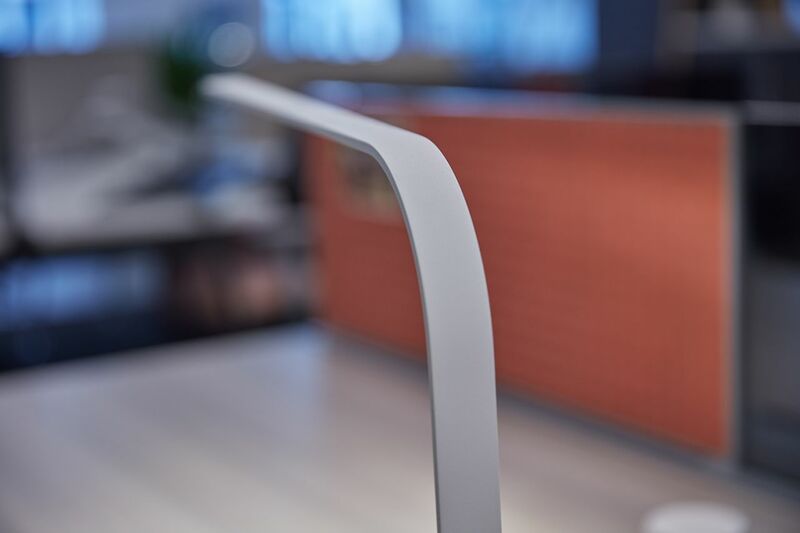 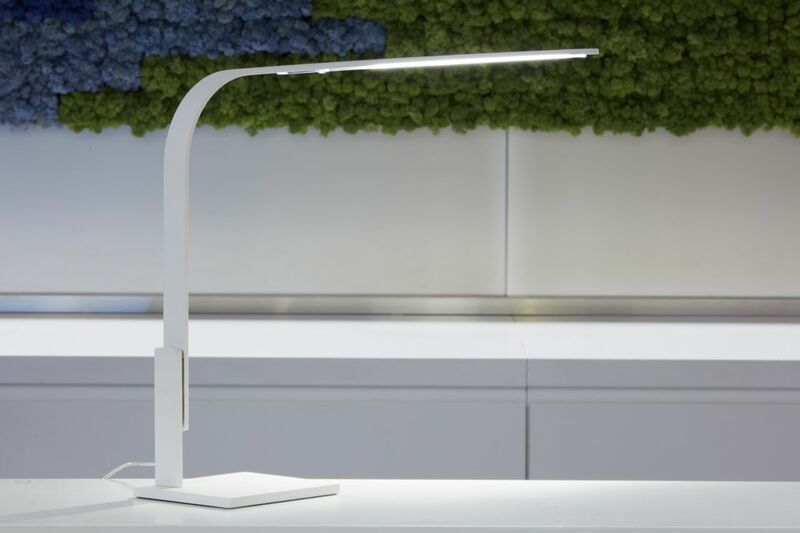 For individual workspaces, you get two LED light settings, a pivot feature, and an efficient footprint that saves plenty of space for performing well-lit tasks. Aluminum arm with clear lens. 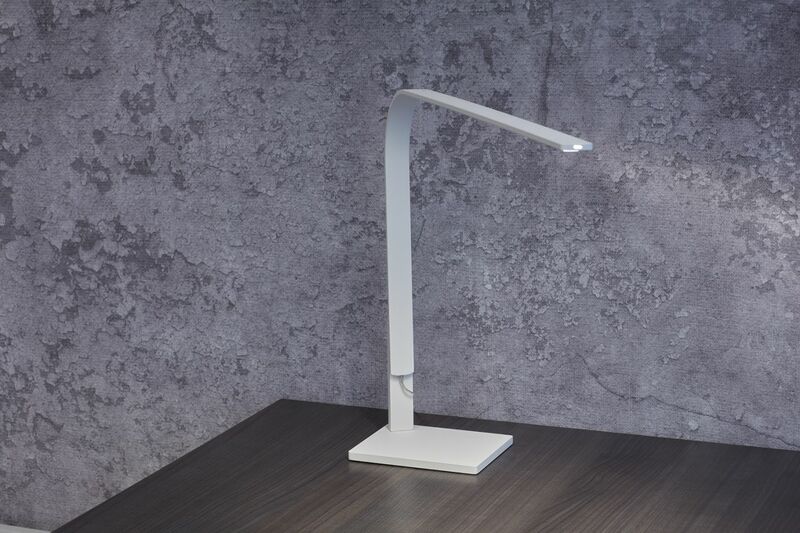 Full range dim control rotates 360 degrees around magnetic attachment to the base. 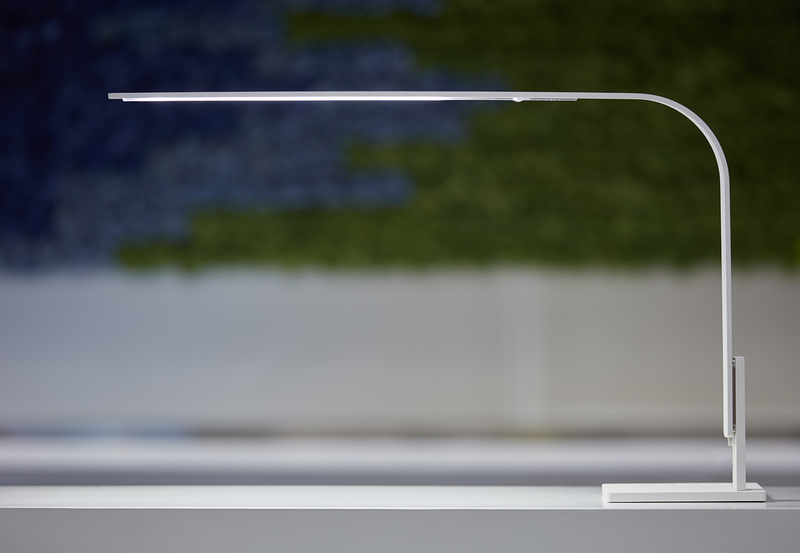 Comes with a removable, silvertone cord and one wire management clip.